If you wish to create a new session you can use the "+" button in the top left hand corner and the session will be automatically created. If there are no ongoing sessions, then the Sessions tab is empty. 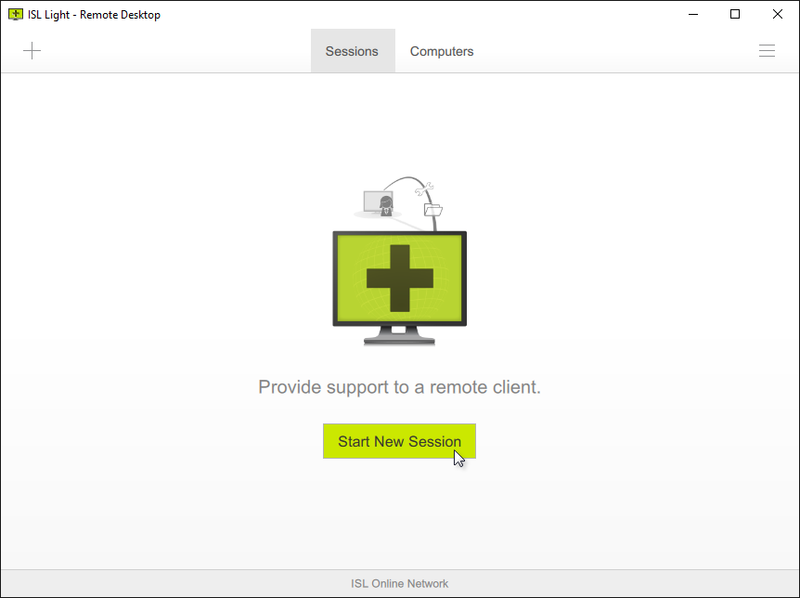 Click "Start New Session" to create new session. 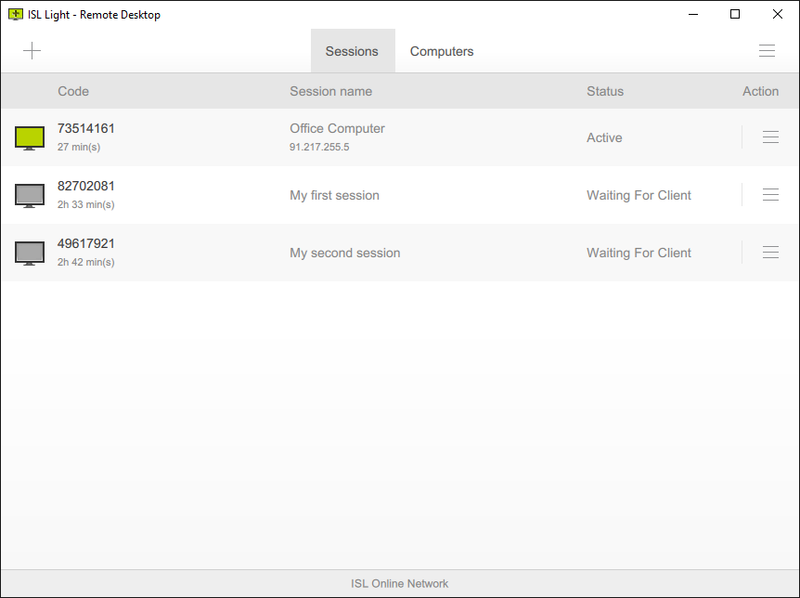 In the dashboard you manage multiple sessions. 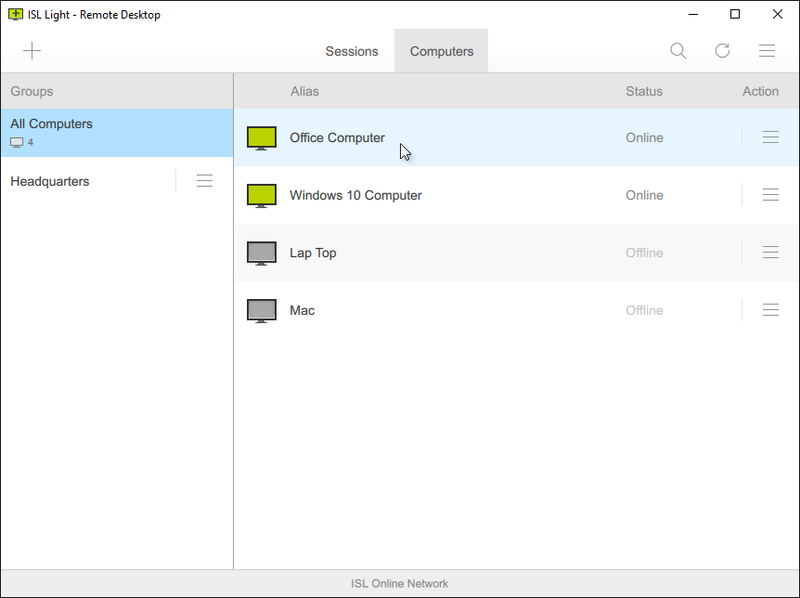 In the computers tab, you can connect to and manage computers that were added to your account trough ISL AlwaysOn installation. 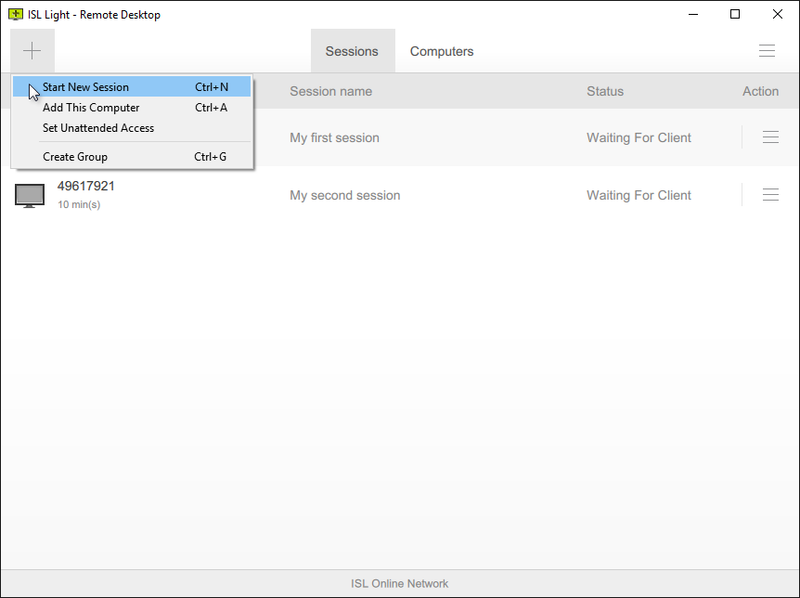 Join a session - click to enter a session code provided to you by supporter and join a session as a Client. Settings - click to access settings for ISL Light, more information can be found in Settings chapter. 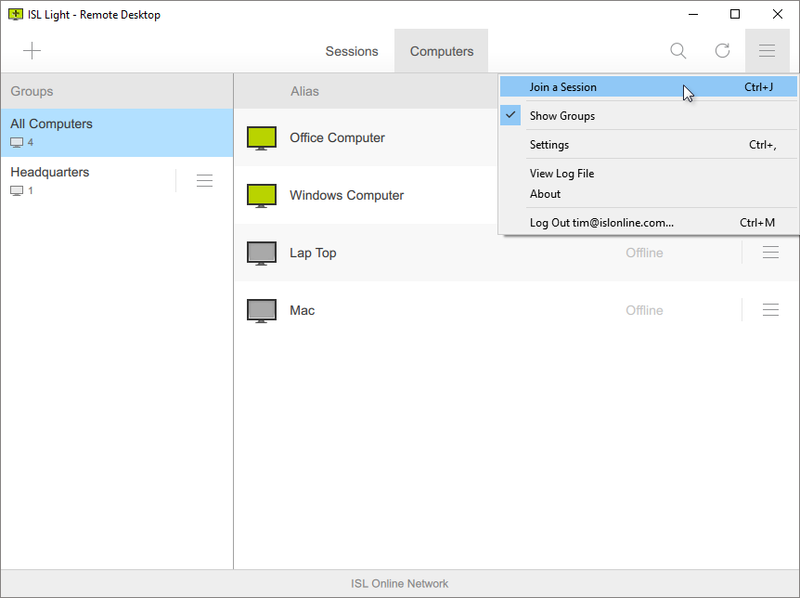 View Log File - click to access the log file, which you can use to get additional information about previous connections, if any problems should arise, you might be asked to forward the log file to an ISL Online supporter. About - click to access the About window. Here the current version of ISL Light will be displayed and the program will automatically check for any available updates.